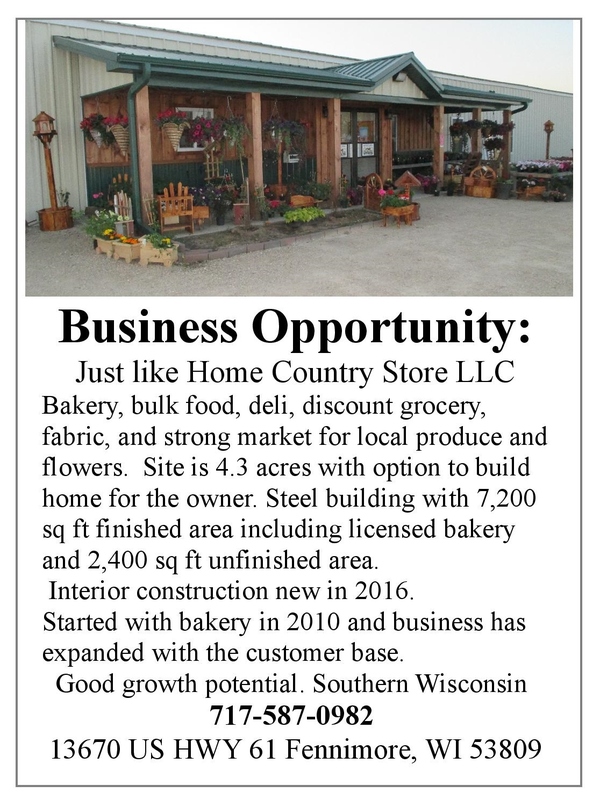 Business Opportunity in Fennimore, WI. Bakery, bulk food, deli, discount grocery, fabric, and a strong market for local produce and flowers. See link or attachment for more details about this store & property. Contact 717-587-0982 for more information. COUPLES GETAWAY-This is a great place for a honeymoon, anniversary or special occasion. Located in Northern Dauphin County, Mahantango Valley this cottage offers a spacious porch, outdoor hot tub, patio with a firepit and pergola, living room, kitchen, bathroom, and master bedroom with a jacuzzi and king size bed. A stocked trout stream flows in front of the cottage. Activities include fishing, hiking and kayaking. Kayak the stream to the Susquehanna River for a relaxing 4.5 mile adventure. See the attachment or link for pictures.